With just three weeks left to go till TEDx SquareMile 2015, now’s a good time to get to know some of our speakers a little better. 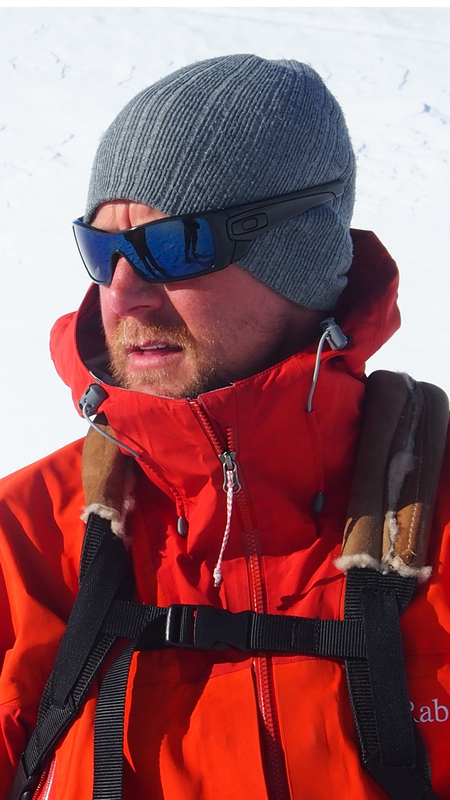 First up is John Dennis, an adventurer who will be talking about the importance of getting connected in overcoming depression and other mental health issues. In 2013 John was trapped in severe depression, which he has since identified as being in large part due to his father’s suicide two decades earlier. In that bleak time, he could barely overcome the challenge of leaving his bed, let alone trekking across arctic tundra. Q: What does the phrase ‘get connected’ mean to you? John: It means more to me than simply network connections. ‘Get connected’ means lifeline, help, comfort, friends, family. Because without these things, the chances are that I would not have pulled through my depression. Q: How important do you think it is for people suffering or recovering from mental illness to get connected? John: Hugely important. It’s very easy for someone to become inward in a situation like I found myself in – the hardest part is accepting that connections, wherever they come from, are essential. Once you accept that things aren’t in your control, that’s when being connected to those who can help really comes to life. Help is beyond important and I am so grateful for all the support I’ve had throughout the whole recovery process. Q: What will your TEDx talk be about? John: I am hoping that my story will be of inspiration through the darkest times. I’ll cover my childhood trauma and other early experiences, through to what turned out to be the darkest period of my life, followed by one of the most terrifyingly exciting periods of my life, as a husband and parent, and in taking on these huge events to raise the profile of depression. Q: When do you feel most connected? John: When I stand back and look at what has been achieved. Yes, it’s my name with the “depression” tag, though all that’s happened has happened because of my acceptance of help. Connection to me is so much more: feeling, seeing, touching life is so important and it is easy for people to lose sight of that. Q: In your adventures, how important has it been to be connected, and what form did that connectivity take? John: My adventures would not happen without connections, pure and simple. Everyone, I mean everyone, has to start from somewhere. I chose to seek the very best advice and listened to absolutely everyone. Regardless whether the points were positive or negative, I listened. Without that, I would have floundered about and achieved nothing but talk. You can see John Dennis present his talk, alongside our other exciting speakers at TEDx SquareMile 2015, on 28th November at Cass Business School in the City of London. Click here to purchase tickets, or view our speakers page to find out who else will be there.